In Lean, there is plenty of talk about pretty diagrams, data, charts, etc. But at the end of the day, Taiichi Ohno was concerned more with actual changes – he always emphasized that Lean was practice over theory. 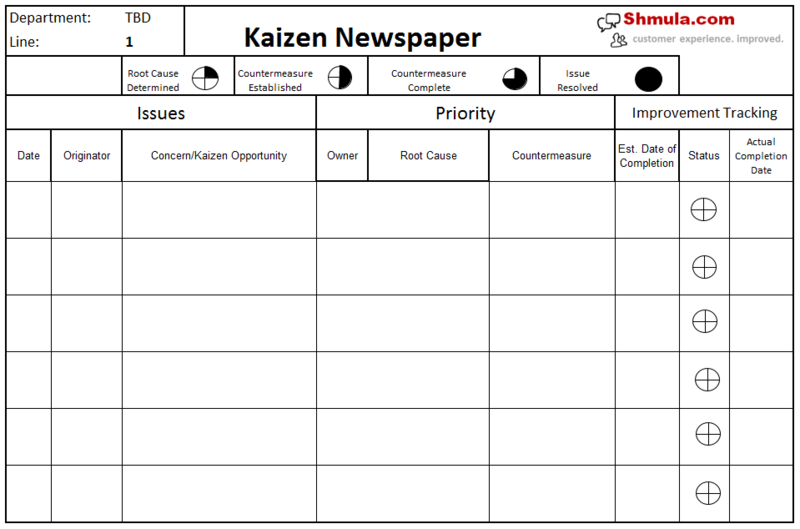 To help us focus on making actual improvements to our process, one template that can help is the Kaizen Newspaper. In my Lean training, I’ve spent a lot of time in both System Kaizen and Point Kaizen. 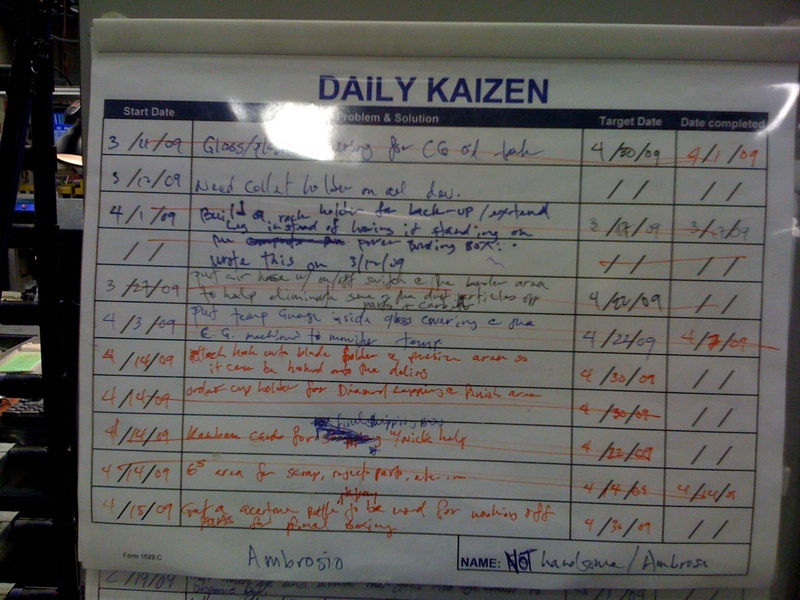 But, one element of Point Kaizen that I’ve especially enjoyed is what I’ve come to call Daily Kaizen. 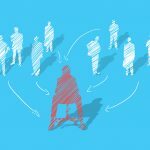 But, regardless of the type of Kaizen you are running, keep in mind that classifications of Kaizen really do not matter. 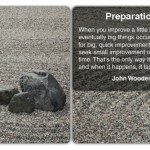 The most important item to remember is that Kaizen should be everyday and the most important Kaizen is what you are doing today – this moment – right now. 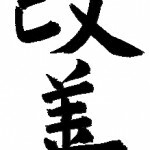 But, if you’re still interested in classifying the types of Kaizen, go read about them here. So, let me get back to the Kaizen Newspaper and Daily Kaizen. And the way the above would work is that during daily standup, the team leader would go through the daily kaizen’s that happened the previous shift. Simple, yet it works. 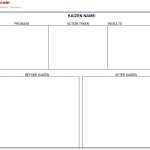 Go download your free Kaizen Newspaper template by clicking on the button below.